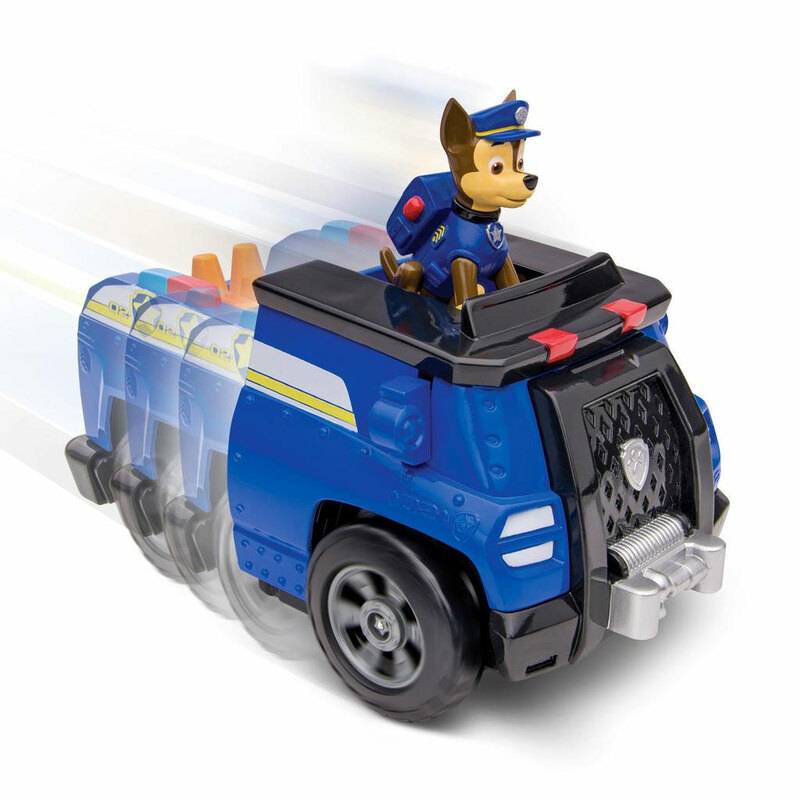 There’s no job too big and no pup too small with Chase’s Deluxe Cruiser! 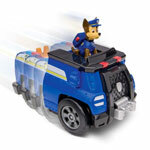 Spring into action as you place Chase onto his doghouse and watch it transform into a full sized deluxe police cruiser! As it transforms it will kick into action, rolling forwarded and unleashing police lights and pylons. Bring the magic of the TV show right into your home as Chase activates real sound FX during rescue adventures. These paws uphold the laws and now you it’s up to you! In the dark of night, in the light of day, PAW Patrol will serve Adventure Bay! Put on a police badge of bravery with Chase and his transforming Deluxe Cruiser! These paws uphold the laws! 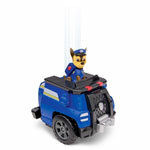 Place Chase on his doghouse and watch it transform into a Deluxe Police Cruiser, unleashing lights and pylons! Activate real sound FX straight from the PAW Patrol TV show as you going on rescue missions around Adventure Bay! 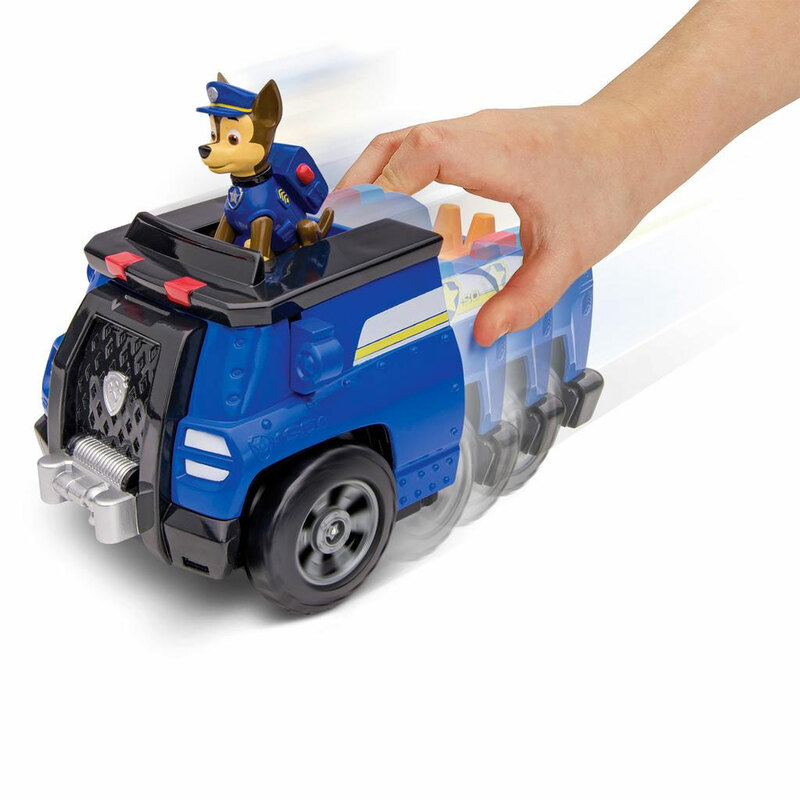 Recreate your favorite scenes from the hit PAW Patrol TV show with Chase and his Deluxe Cruiser! Chase’s Deluxe Cruiser comes to the rescue of PAW Patrol Fans ages 3+.